I must have a name! This is a quick detour in the usual blog-posting schedule because, quite frankly, it’s been driving me nuts! 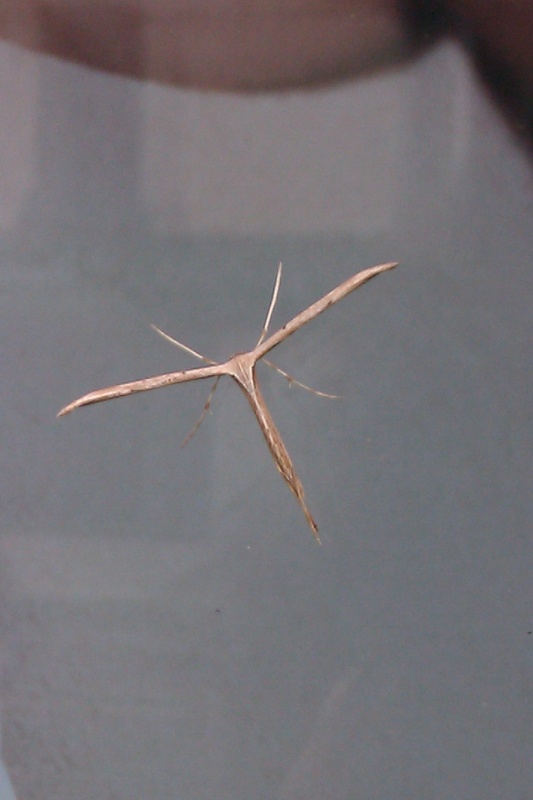 I saw this bug on a shop window in Dublin over a year ago and have been unable to identify it since. I’ve asked all my science-loving, bug-loving nature-loving friends and have consulted books, websites etc to no avail. Can anyone help? Any ideas at all? I wish I could tell you! I tweeted and pinned you on pinterest so maybe that will help? Thank you – I really appreciate it. Hopefully I’ll find out at some point! The Walking Stick’s unique feature? Camouflage!. 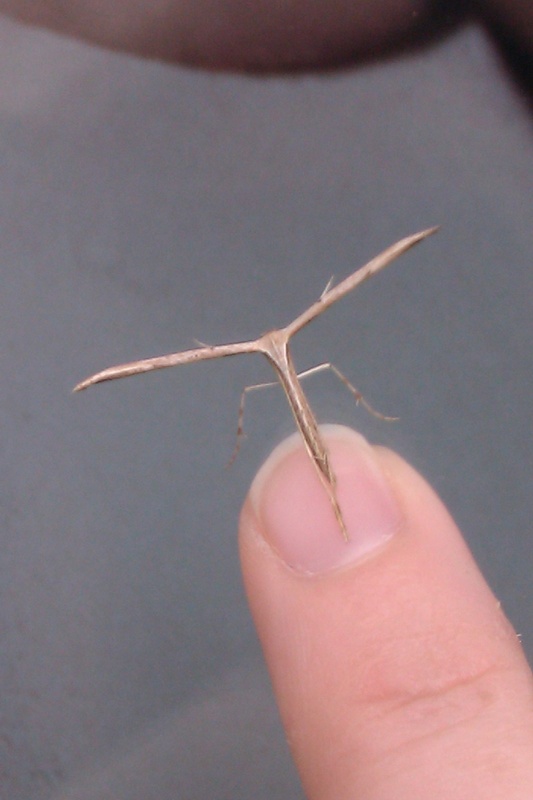 Yeah, it’s definitely a plume moth. Pretty cool that you found such a rare insect to Ireland.